Dyson Ltd, the British technology company most commonly associated with revolutionizing vacuum cleaners, is moving into the increasingly crowded realm of electric car development. Jim Rowan, chief executive officer of Dyson, talks about the company’s plan on electric car. Earlier in September, Dyson announced it has begun working on a battery-powered vehicle which will be launched by 2020. Dyson Ltd, the British technology company most commonly associated with revolutionizing vacuum cleaners and other household appliances, is moving into the increasingly crowded realm of electric car development. The company, founded by inventor James Dyson in 1987, announced it has begun working on a battery-powered vehicle to be launched by 2020. The company said it will invest 2 billion pounds (US$2.6 billion) in research and development on the car. 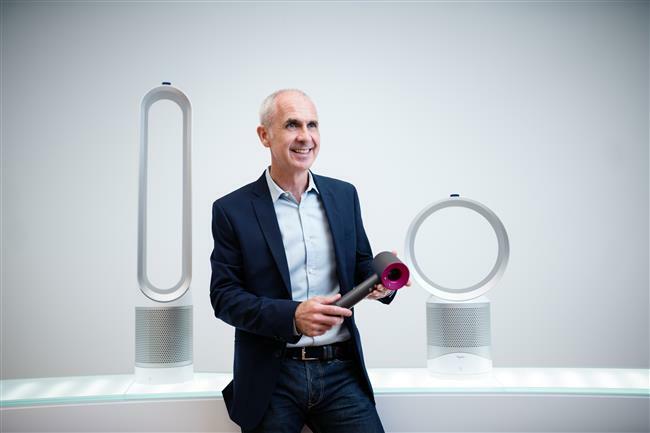 In the driving seat for the new technology is Jim Rowan, who took over as Dyson’s chief executive officer in November. Prior to that, he served as chief operating officer for the company since 2012. Shanghai Daily recently talked with Rowan to discuss the company’s expansion beyond it core business. He was mum on what the prototype of the new car will look like and said the company isn’t ready to disclose manufacturing sites. However, founder Dyson has been reported as saying that the electric cars will probably be built in Asia. Q: Why this move on the part of Dyson? A: We are always interested in products that can advance industry and change the world. Dyson has many of the technologies for a successful electric vehicle. Those technologies include digital motors, battery technology, electronics, fluid dynamics and mechanical engineering. So, it’s not such a strange industry for Dyson to become involved in. The electric vehicle market is undergoing tremendous change at present. Together with this change and the technology that Dyson can bring to it, we think it’s the right time for Dyson to enter the market. Q: How is the electric vehicle project going so far? A: We already have more than 400 engineers working on the project and a large number of facilities and technology labs dedicated to electric vehicles in the UK. We are making good progress. We have a very detailed plan for the project, but we cannot disclose it now. Q: It is a huge expense to develop and manufacture an electric car. Technology aside, companies need to think about how to bring the product to market and make profits from it. Can Dyson make money from electric cars? A: Some car manufacturers now producing electric cars also produce conventional internal combustion cars. They still have costs related to that technology. We don’t have any of those costs. This will be a new industry for us. We expect to make profits from electric cars, but that means we need to get all the different aspects of the project correct — not just design and performance but also manufacturing and the supply chain. Q: What advantages does Dyson bring to development of electric cars? A: We have almost 4,000 engineers in our company. That’s very advantageous for us. We have very deep, pure engineering talent, and the labs and specific equipment, not just for the electric vehicle project but across our entire product range. Dyson already has capabilities in the main components of electric vehicles. That is, the digital motor, electronics and battery technology. And we have invested over US$100 million in solid-state batteries. Q: You say this was the right time to enter the electric vehicle market. Why is that? A: There are several reasons. Everyone is concerned about high pollution levels. More and more people live in cities, which makes urban pollution even greater. Governments are now formulating policies and legislation on electric vehicles. At the same time, we have developed battery and digital-motor technologies that make the performance of electric vehicles much higher than ever before. Last but not least, consumers want mobility, but they want it from a cleaner energy source. Q: How can Dyson establish a close relationship between technological innovation and Chinese consumers? A: China has built some great technologies in recent years. Many are very aligned to Dyson technologies, such as artificial intelligence, machine learning and battery technology. Chinese consumers like intelligent products. We built a Chinese model home in the Shanghai Technology Lab that opened in May. We invite Chinese consumers to come and try our products, some of which haven’t been released yet. We ask them what they like about the products and things they would like to change. This is a good example of Dyson combining innovation with the interests of Chinese consumers. Q: How does Dyson view Chinese consumers? A: Chinese consumers appreciate value. They are value sensitive rather than price sensitive. We find the Chinese consumers are tech-savvy as well. Chinese consumers understand technologies very well, more so than in some other markets. That’s why the relationship between Dyson and Chinese consumers is growing very fast. One of the great things about China is that it is so connected through social media. There are about 900 million WeChat users in China. It means that people who use our products hopefully will communicate with each other and write reviews about how nice the products are and how well they work. We plan to launch a product next year based on an idea arising from the insights of Chinese consumers. The product will be launched globally. The whole drive of the product is behind Chinese consumers, which is a very big sea change for us.